Welcome to our October 2016 Inspirational Interview. 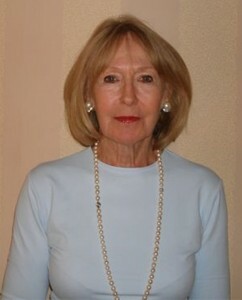 This month we speak to Jacqueline de Chollet. Over the past 30 years Jacqueline de Chollet has been active in the fields of Women’s Health, Social Justice, Education, Public Housing, and the Arts. Such activities have included: Global Foundation for Humanity – Founder in US (1994) -Association du Project Veerni Switzerland (2011) co-founder. The Global Foundation for Humanity U.S. and the Association du Project Veerni were created to support the Veerni Project in Rajasthan India to improve the health and education girls and women. Both organisations fund the Veerni Project. Part 2 of Ms. De Chollet’s interview will be published on October 31, 2016. All pictures courtesy of Jacqueline de Chollet. 1. What galvanised you to to set up the Veerni Project in 1993? It began with a young woman named Bhanwari. In 1992, I was travelling in a remote part of the desert area of Rajasthan, India, near the Pakistan border. I came into a village of a few hundred people. In a one-room house with a dirt floor, a young woman was weaving a shawl with a small baby in her arms. She had five other children outside. There was little food in her village and almost no water — she had to walk hours each day to get it. She looked worn out and prematurely aged, and it struck me how isolated and lonely she was. As she finished the shawl, I told her I would buy it from her. But the moment I gave her the money, a man came and took it. That image has remained vivid in my mind — this woman had managed to make something and sell it, and the moment she had done so, the money was taken from her. She had no means of defending herself. And I thought this has got to change. I knew that this woman needed some means by which she could transform her life. But like any woman elsewhere, she can only change her circumstances when she feels healthy and strong. Only then can she fight for her rights. These rights, which are enshrined in constitutions and in United Nations resolutions, mean nothing if they do not apply to a woman like Bhanwari. 2. The Veerni Project does most of its work in India with a focus on helping young girls in Rajasthan who are at risk of child marriage. Why did you choose to focus on addressing this particular form of gender-based violence? The mission of the Veerni project is to provide adolescent girls from the rural region of the Thar Desert in Rajasthan with a quality secondary education in a safe and supportive environment. We believe that by giving these girls access to education, health and the job place, Veerni can empower them to take their rightful place in the lives of their communities and their country. Only then will they be able to exercise their human rights and live free from coercion, disease, and poverty. 3. The Veerni Institute (which developed under the Veerni Project) has been working to empower Rajasthani girls and to prevent child marriage via girls’ education for over 20 years. Can you tell us about the impact and progress that your organisation has made since its inception? The girls come in at class 6 aged 12 years old and stay till graduation at 18. The results are very positive and the girls pass their exams at a 100%. They graduate in three streams – Arts, Science and Commerce – which open many opportunities to them in higher education. 90% of the 100 girls who have graduated in the last 12 years have gone on to higher education. At present, Verni is funding 28 girls in higher education including 5 in nursing studies. 4 of these girls come from one of the poorest communities Veerni has been involved in – a hamlet of some 500 Dalits where all the girls are child brides. The village has decided to stop the practice altogether in the future. This is a momentous decision for a community where the population is 90% below the poverty line. By agreeing to allow their daughters to finish their schooling and then go to college, child brides can postpone joining their husbands till at least the age of 21 and in some cases look to cancelling those marriages altogether. 4. In addition to championing and providing formal education to at-risk girls, the Veerni Institute also runs medical programmes for communities which include family planning/birth control. How do your medical programmes work in conjunction with your education programmes to prevent and curb child marriage and help girls who are already married? 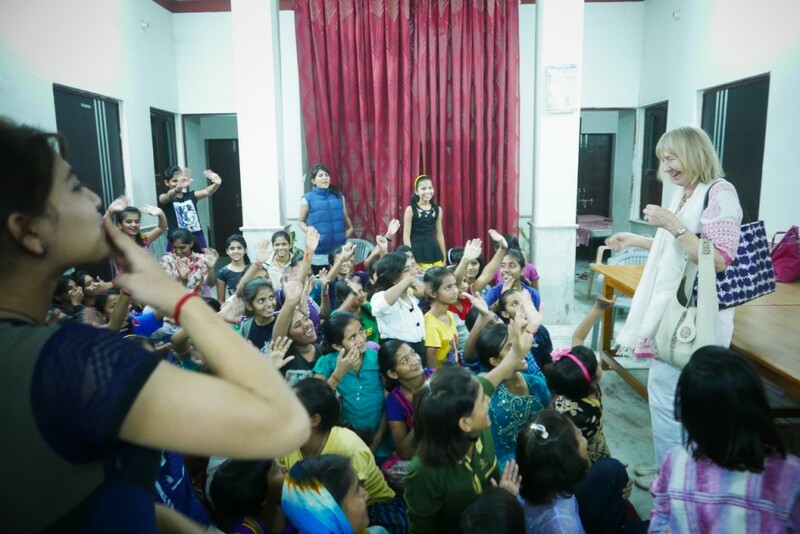 In the Veerni Institute, the girls have regular lectures on health, hygiene and all matters concerning reproductive health. They will learn about contraception, pre-natal care and post-natal care, the need to space their pregnancies and the dangers of infection, particularly in the case of HIV/AIIDS. They are also well aware of the practice of gender selection and have written papers about it. Regarding village work, Veerni has had a long relationship of delivering reproductive health care and the village women can call on Veerni if they need help and the awareness exists of matters relating to women’s health. It is still a battle for women to put their own well-being first and that of the girl child, but progress is forthcoming. With education this is changing. Young women being newly married in one of the Veerni villages can always access the Veerni Project through the women in the villages who were employed by the project as representatives. The change in government incentives for hospitals deliveries is improving safe deliveries but there needs to be much more in village health. 5. In your experience, how can members of the wider community recognise signs of child marriage and what can they do to help victims and potential victims? It is very difficult to recognise the signs of child marriage as villages will not tell you about it. C hild marriage has been illegal since 1939 thanks to the Sharda Act. It is only because Veerni has developed an intimate relationship with these villages over our 23 years of work with them that we come to know about it and are able to convince the parents to let us care for and educate their daughters in those crucial adolescent years, thus delaying the time they would join their husbands by at least by some 6 or 7 years. The main defense against child marriage is the compulsory education of girls till graduation at 18. In some states like Kerala where the literacy rate is near 90%, the incidence of child marriage is lower. Now that secondary education is a goal of the UN by 2030, let us aim to beat that deadline and make it possible for all girls to finish their schooling and become active members of society. The changes also have to come from the local community and cannot be imposed or else the practice would have stopped long ago. We need to convince parents to value their daughters as much as boys and cultural norms that concern girls have to be changed. In some villages, the community has decided to stop the practice altogether and have announced it at an event they held for Veerni. Another interesting development is that local companies that erect the tents for such occasions have declared that they will not put up tents for wedding without seeing the girl’s birth certificate. As many girls do not have them it is not easy. However it is a step in the right direction and these small steps will effect change in time.